Space is hard. Space startups immensely so. XCOR’s decision to file for Chapter 7 bankruptcy on Tuesday marks the end of a company that seemed to be in perpetual start-up mode since its founding 18 years ago. Lacking a billionaire backer with deep pockets and a thick Rolodex, the company attempted to develop revolutionary rocket engine technology and a suborbital space plane with funding that would be a rounding error for the giant aerospace primes. So, how far did it get? What might bidders find valuable when XCOR’s assets are auctioned off? And what problems might have helped to cause the company’s fatal plunge into insolvency? Henry Vanderbilt has a few ideas on these subjects. Henry is an XCOR shareholder who worked at the company back in the day. He went on to found the Space Access Society, whose conferences were a highlight of the year for the New Space community until recently. 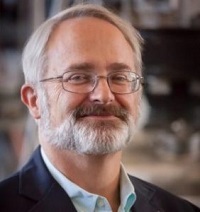 MOFFETT FIELD, Calif. (DSI PR) — Deep Space Industries is pleased to announce that Doug Jones, formerly chief test engineer at XCOR, is joining the company’s growing team as director of propulsion systems. Mr. Jones has designed, built and tested over a dozen different rocket designs for a wide range of customers, including two manned vehicles. Doug has decades of aerospace engineering experience ranging from liquid rocket engine design to vehicle system optimization, and has flown aboard a rocket aircraft multiple times while serving as flight test engineer during the development of the XCOR X-Racer. Editor’s Note: And then there were none. Jeff Greason, Dan DeLong and Aleta Jackson preceded Jones out the door. There are no more founders at XCOR. Struggling XCOR Aerospace has laid off its remaining employees in Mojave, Calif. and Midland, Texas. The move follows the news last month that CEO Jay Gibson was leaving the company after President Donald Trump nominated him for a high-level position at the Department of Defense. Gibson left the company at the end of June. 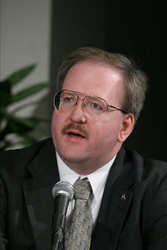 XCOR hired Gibson in March 2015 to replace founder Jeff Greason. 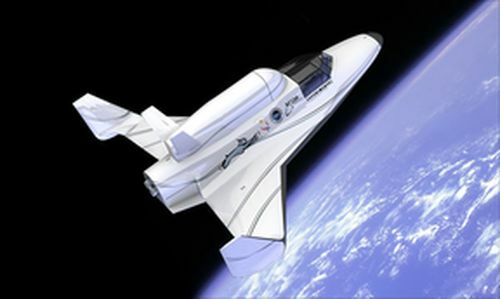 The objective was for Gibson to focus on the business side while Greason focused on completing construction on the two-seat Lynx suborbital space plane. Greason, DeLong, Jackson and Doug Jones founded the company in 1999 after being laid off from Rotary Rocket. XCOR had been working on an upper stage for United Launch Alliance’s Vulcan launch vehicle. It was a busy year in the development of suborbital human spacecraft, with Blue Origin and Virgin Galactic both taking to the sky and XCOR putting its Lynx space plane on hold. MIDLAND, Texas, March 30, 2016 (XCOR PR) – The board of directors at XCOR Aerospace is seeing new additions, and with immediate effect the board welcomes 3 new members: Charles Thomas (Tom) Burbage, Michael Gass and Arthur Bozlee. Former board members Jeff Greason, Stephen Flemming and Michiel Mol gave up their board seats to allow for these new members. Michiel Mol, XCOR’s biggest shareholder, will remain actively involved in the company’s daily operations. All new members have prominent previous experience in the air and space industry. A bit more on the management changes that XCOR announced earlier this week. 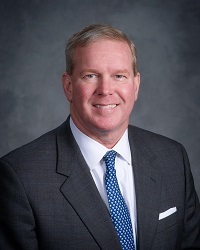 Jay Gibson has taken over as CEO and President. The CEO position was formerly held by company founder Jeff Greason, who has moved over the chief technology officer (CTO) role. The job of president was formerly held by Andrew Nelson. 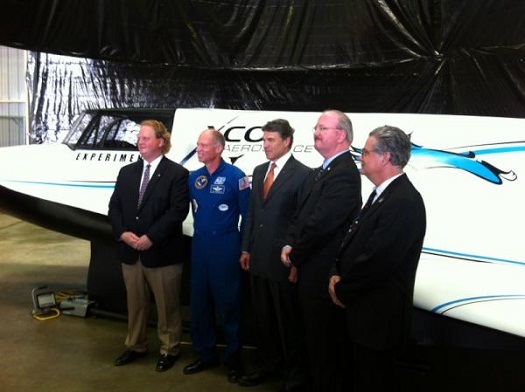 XCOR has no announcement about Nelson’s status. Gibson says he moved on from his position at Beechcraft Corp. because he was looking for something exciting to do. “Jay has the credibility and experience to expand the frontiers that we have, and the businesses we have,” Greason said. Greason professes to be happy with his new role, which allows him to focus on technology and not CEO responsibilities such as fundraising and trying to figure out how to put more bathrooms in a World War II-era hangar in compliance with 21th century building codes. Leaving his CEO and president position to move into a CTO role, Greason said he can now focus on advanced projects and next-generation developments — innovations that motivated his co-founding of XCOR in 1999. 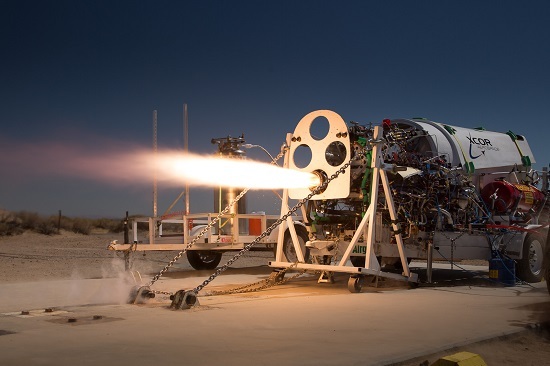 Greason said that advanced technology, the vision that he has for XCOR, the larger picture of the aerospace industry’s future and the regulatory and policy framework for the industry are his passions. “It’s what wakes me up in the morning,” Greason said. Nearly three years after signing an agreement to move its headquarters to Midland, XCOR Aerospace is still in Mojave. 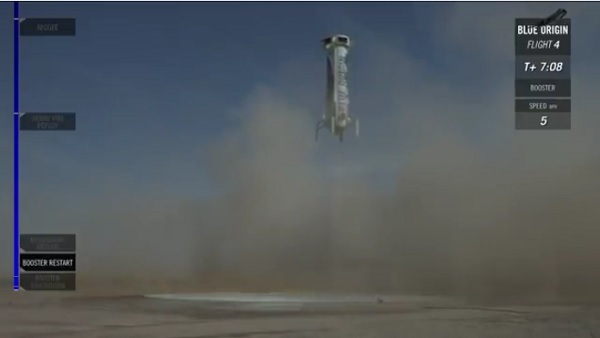 But, the company’s executives are saying XCOR is still moving to West Texas. XCOR Aerospace’s new CEO and President Jay Gibson and new Chief Technology Officer Jeff Greason reaffirmed that the Mojave, California-based private space company is still committed to making Midland its new home…. Gibson said that, when XCOR first announced in 2012 its partnership with local entities, a long-term vision was established that Midland was going to be a big part of XCOR’s identity. Before joining XCOR, Gibson held high-level positions at Beechcraft Corp., the U.S. Air Force and Office of the Secretary of Defense. He was vice president of the Special Missions Group and vice president and CFO of the defense unit at Beechcraft Corp., and assistant secretary of the U.S. Air Force and deputy under the secretary of defense. Gibson is also familiar with West Texas, having lived in Abilene for 11 years. XCOR has suffered major delays in assembling the first Lynx rocket plane, which it originally hoped to have in flight tests by the end of 2012. The company plans to begin flight tests in Mojave before moving to Midland. It’s not clear when flight tests will begin. An excellent report from Mojave by KGET, with an overview of the testing going on there and the first ever look inside the Stratolaunch hangar. MOJAVE, CA, June 30, 2014 (XCOR PR) — XCOR Aerospace announced today that it has closed the acquisition of all operational subsidiaries of Space Expedition Corporation, the previously independent Dutch company also known as SXC. SXC served as XCOR’s general sales agent for XCOR® Lynx® flight sales and as their lead wet lease customer. The new sales entity, XCOR Space Expeditions, will continue to focus on sales, commercial partnerships and participant (customer) training on a global level, and will serve as an open sales channel available for all future XCOR Lynx wet lease clients. The acquisition signals XCOR’s commitment to being “the most active space flight company in the world” through a marked increase in integrated sales activities and multiple wet lease operations. As the most active spaceflight company in the world, XCOR is poised to become the company which delivers the most value for the price. With its high frequency of flights, XCOR will learn the most the quickest in the emerging commercial spaceflight industry and more customers will benefit from Lynx’s incredible in-the-cockpit experience.